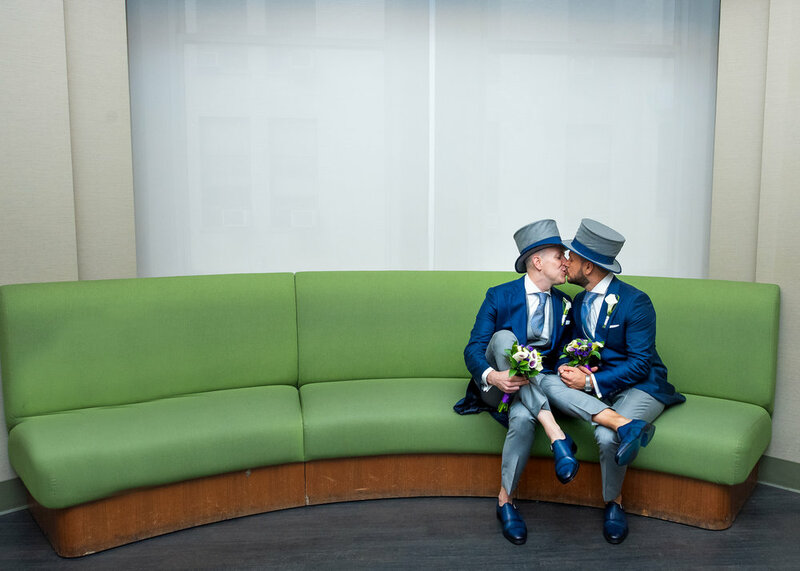 Eric and Chris had a magical wedding day in Manhattan in August. They were married at New York City Hall surrounded by their close family and friends. They had a lovely brunch with the guests and then drove around Manhattan to all of the best sights for a whimsical and fun photoshoot. They even included their adorable puppy, Chewie to join in on the festivities. Congratulations on your marriage, Eric and Chris! Stay tuned for Part 2 of their wedding day - a fabulous reception that was one for the books!